No sew, DIY, cheap, small pet cage accessory! Buying your pet accessories for their cage can be very expensive. Here is a cage accessory that my guinea pig loves to run through and hide inside! I call them his "curtains." 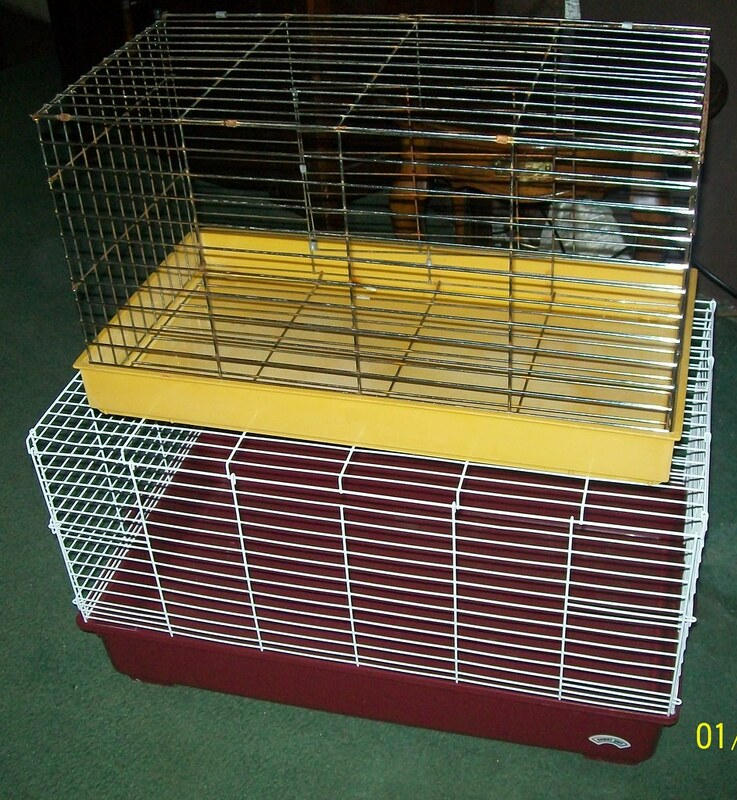 Before you create this cage accessory, make sure your cage is large and your pet has plenty of room to maneuver their cage if they do not like the curtains. Most cages bought at the pet store are NOT big enough for your small furry friend. For example, the guinea pig cages at my local pet stores (image above) are way too small for my guinea pig, Gus. Their largest bunny cages in store are close to the size that a guinea pig needs. Next, make sure you have a wire top, or part of your cage has a wire top, similar to the cages above (but much bigger cages!). The wire top is where the curtains will hang from! Step 1: Choose how wide you want the curtains. Find some leftover material, preferably fleece, and decide how wide you want the curtains to be, and cut! Make sure your strips are TALLER than the distance from the floor of the cage, to the wire of the cage. Step 3: Make small 1/2 inch wide cuts into the strip. 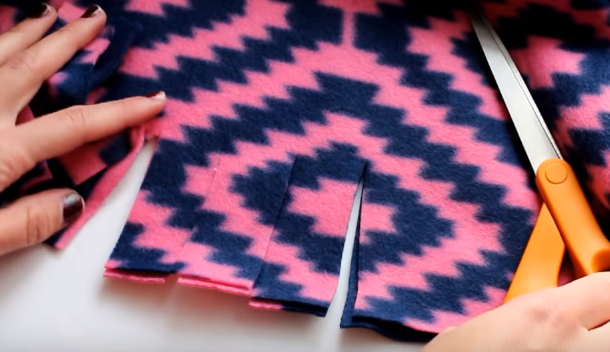 Have you ever done a "no sew" fleece project before? Then this step is a piece of cake! Make inch long cuts no more than 1/2 inch wide. Step 4: Select and stagger where you tie the curtains. Make sure there is enough room for your critter to run through! When tying the curtains to the wire, be sure to double knot to make sure they do not fall off! Step 5: Cut the curtains to the length you desire. When you first tie the curtains, they will most likely be dragging on the cage floor. Personally, I do not like this, so I cut the curtains bit by bit until they are the length I prefer. I recommend a half an inch off of the floor of the cage so your furry friend doesn't trip over the curtains, and the material isn't laying in their poop. Step 6: Help your furry friend explore the new part of their cage! 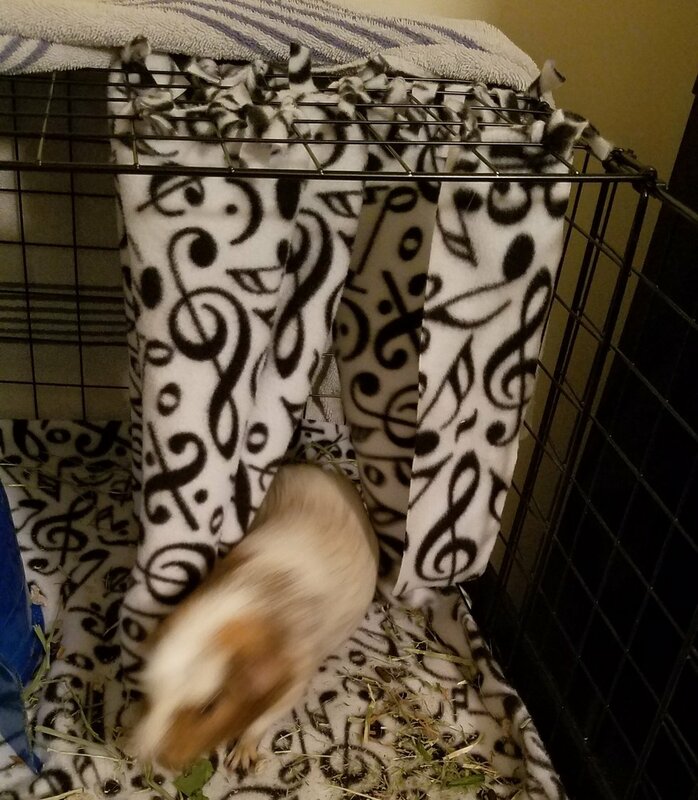 Look at my guinea pig running through his curtains in the blink of an eye! He loves to run through them and hide in the curtains. Gus was unsure of the curtains in the beginning. When I was first tying the pieces of material to the wire in his cage he was chattering his teeth at me. I thought I made a mistake. After securing the fleece, I sat on the opposite side of the room to make him think I wasn't there. He still completely avoided the curtains in his cage. So I went into my fridge and grabbed some lettuce leaves for him. I placed one near the curtains, and he ate it no problem. Then placed the next lettuce closer and closer until finally, he had to reach his head in to get the food. Once he realized he could walk through the curtains, he was running through them and inspecting them. Gus has loved his homemade curtains ever since.